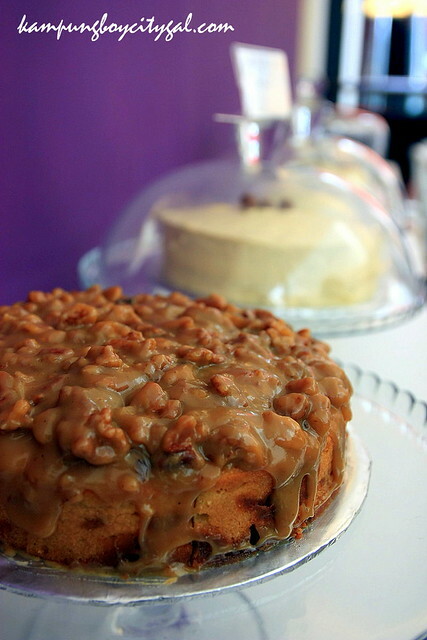 There’s no denying that Swich Cafe’s mangosteen cake is one of the most photographed cake in KL recently. It has made numerous appereances in our Facebook feed and Instagram feed for the past month or so. Curiosity got the better of us so we found ourselves here on a Saturday noon after ducking out a hectic week. 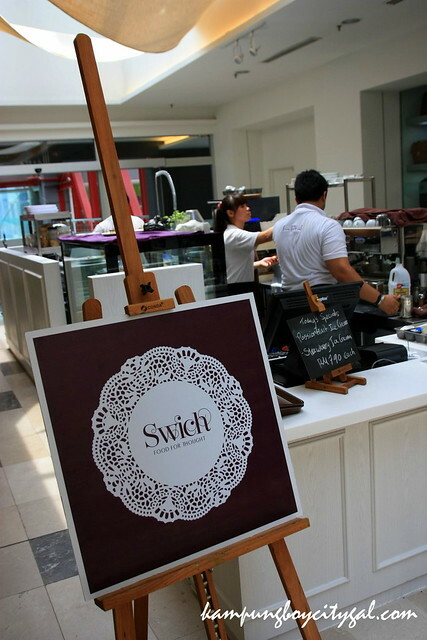 Swich Cafe is located in between Baby Loft and Wings at level G3 of Publika Mall. 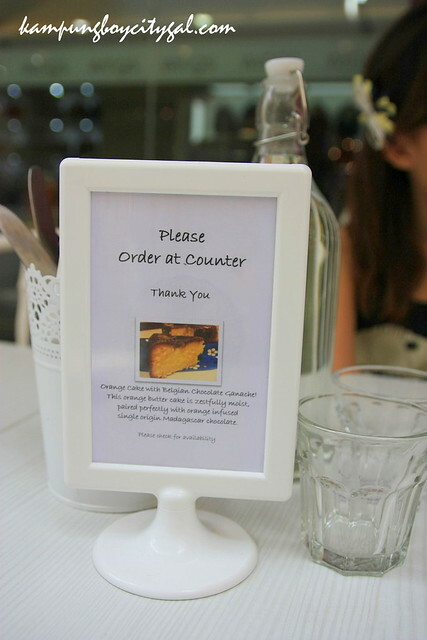 It used to be a take out kiosk at the basement level but it is now a full fledged cafe. The original branch is located in HP Tower. 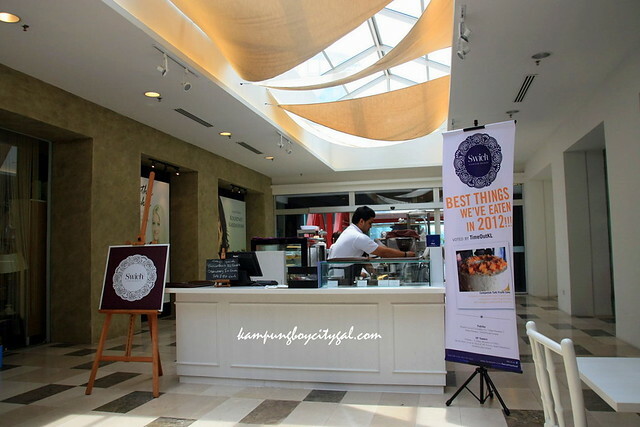 We enjoyed the casual ambience of Swich Café for light refreshments and snacks including a tempting cake selection. I ordered a cup of flat white to go with the desserts. 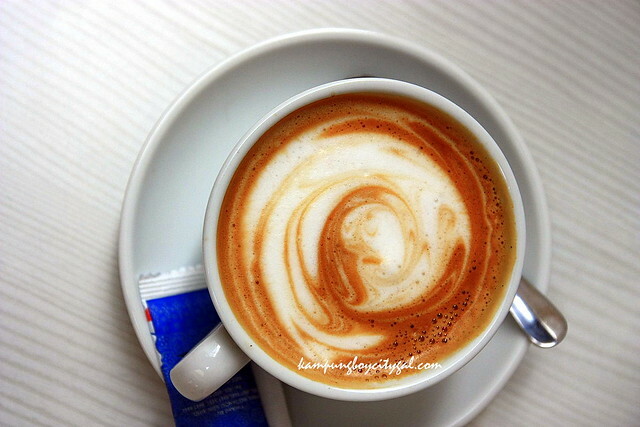 However, the coffee was a let down as it was pretty average and served far too hot. 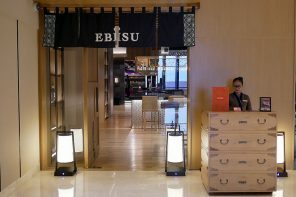 The menu here is limited, with most dishes featuring a fascinating blend of Eastern culture and Western influences. 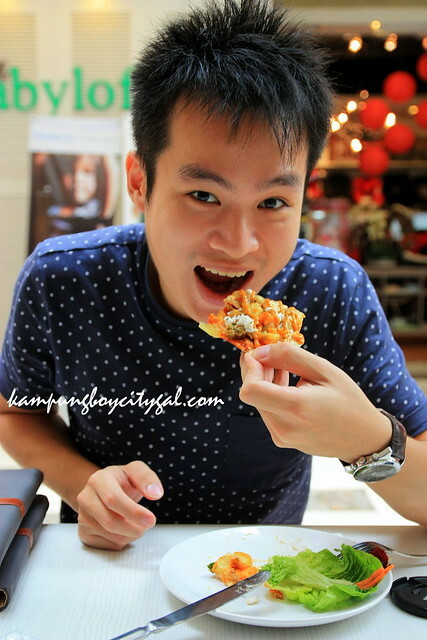 The Soft Shell Crab with Salted Egg Pizza (RM 11.90/qtr) was an explosion of flavour – crunchy, salty, slightly spicy on the outside and juicy on the inside. Artery-clogging goodness at its best! 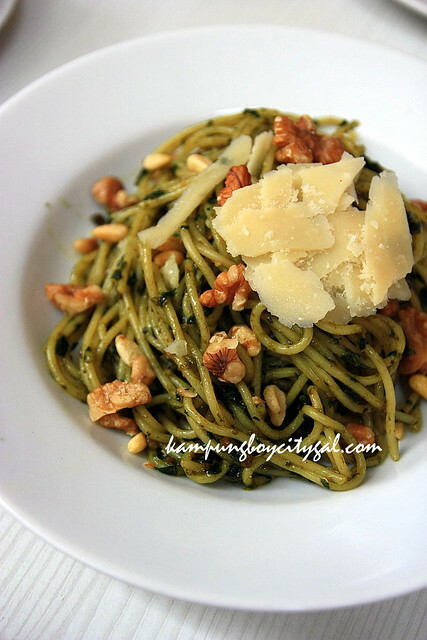 The Walnut Pine Nut Pesto Pasta (RM 17.90) sounded really good, but it tasted pretty bland. 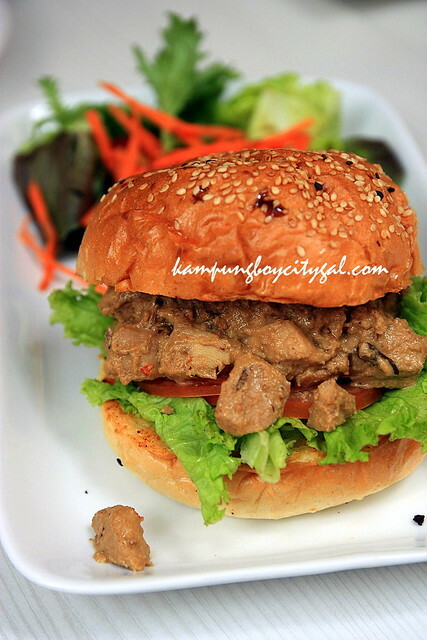 We did not really enjoy the Chicken Rendang Burger (RM 17.90) either. I always have a soft spot for chicken or beef rendang but the chicken rendang cubes were a tad too dry to our liking. 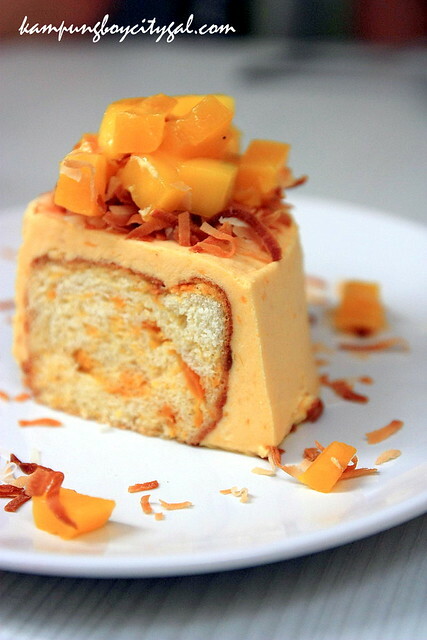 Swich’s Cempedak Tutti Fruitti – the yummiest cempedak sponge with chunks of fresh cempedak, frosted with cempedak cream and garnished with mangoes and toasted coconut. 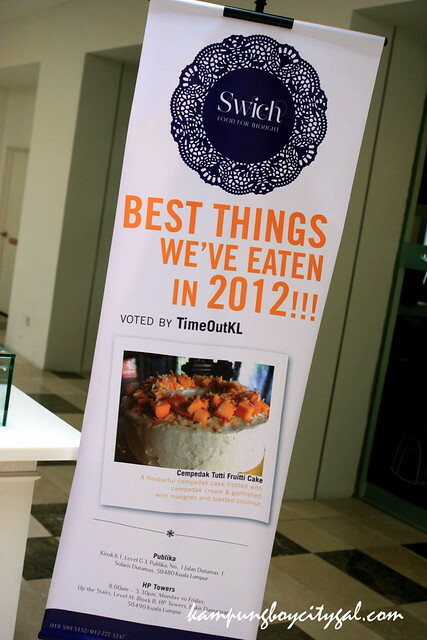 Come and find out why it’s on TimeOutKL’s list of best things they’ve eaten last year! We had better luck with Swich Cafe’s sweet selection. The Cempedak Tutti Fruitti was so delicious that we literally fought till the last bite. 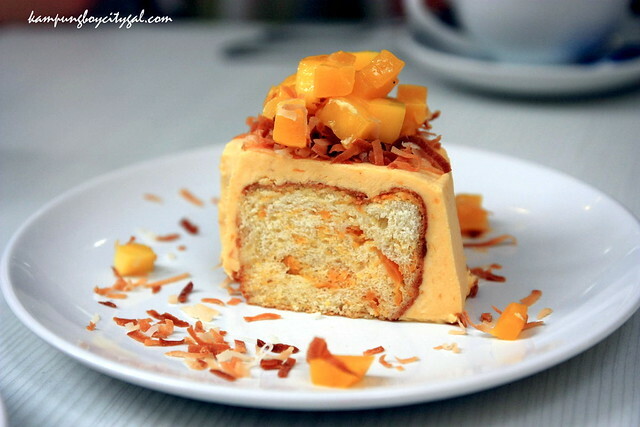 The sponge layer has a light hint of cempedek flavor coming from those fresh cempedak chunks. The cempedak cream frosting brings out an intense overripe cempedak flavor which lingers inside our mouths. 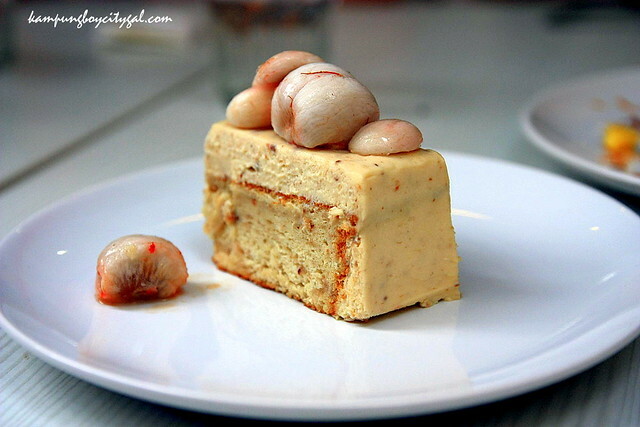 A light Mangosteen Cake made with mangosteens and a touch of pomegranate (another wonder fruit! 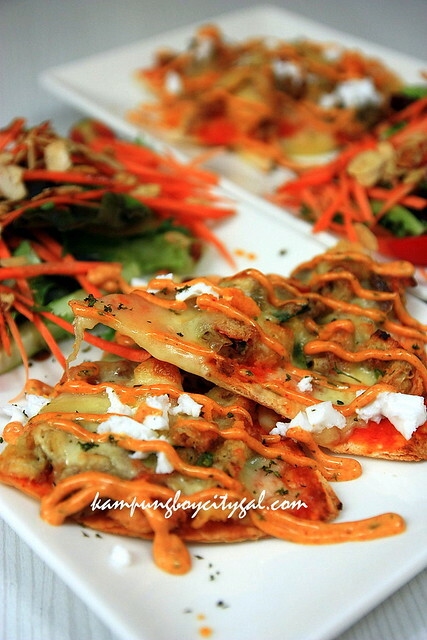 ), frosted with mangosteen cream and topped with more fresh mangosteens, served optionally with caramelized cashew. 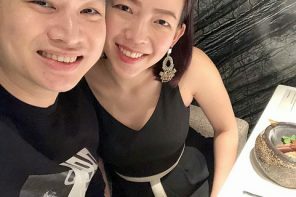 Mangosteen Cake was a first for us! 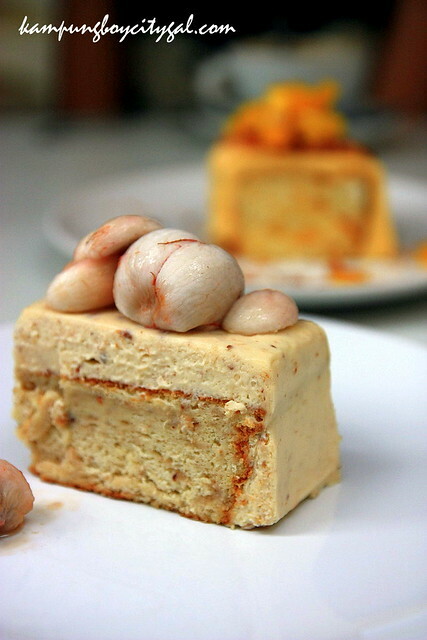 The mangosteen cream frosting has a distinctive mangosteen flavour and the sponge base is very light and airy, making it a really delightful piece of cake! While we did not think highly of the mains (could be due to start up hiccups), Swich Cafe is definitely THE place to go for cakes! 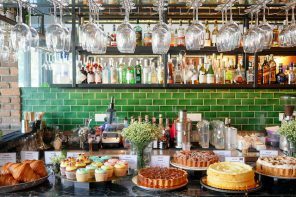 Their avocado cake, hummingbird cake (with a tropical twist), burnt butter cakes, brownies and horlicks cake are calling to me!